Warrior Marathon Runner: 250th Marathon Finish!!!!!! 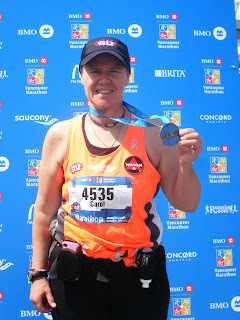 My 250th marathon at the BMO Vancouver Marathon was awesome! They treated me like a Rock Star all weekend. I gave an inspirational speech at the expo and had a great time running in beautiful sunshine!